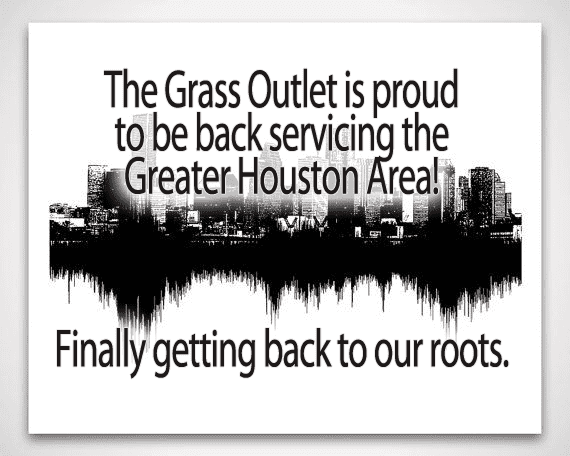 The Grass Outlet is proud to announce that we're back helping make Houston Green! St. Augustine has long been the standard grass in Texas and is often referred to as "carpet grass". Bermuda is a fine blade grass that is drought tolerant and does well in full sun and high traffic areas. Zoysia is making its mark in Texas with visually appealing varieties and high performance in shade or sunlight. Density is a hybrid of the Prairie Buffalo and exhibits very high drought tolerance. The Grass Outlet will deliver anywhere in Texas by the full (18) pallet truckload! And we’re more than happy to give a custom delivery quote for any pallet quantity desired! If your zip code isn’t recognized in our system, Click Here to contact us today! Interested in a full, 18 pallet, truck-load of sod? Not having to combine your orders with others, if you need a full truck-load of grass delivered; You pic the day and let The Grass Outlet find a way! If you’re in one of the following areas, call us for anything Grass related! Is your area not listed? Click Here to get a custom quote on home delivery! Zip code not recognized in our system? Call our office today to get a custom quote on home delivery!